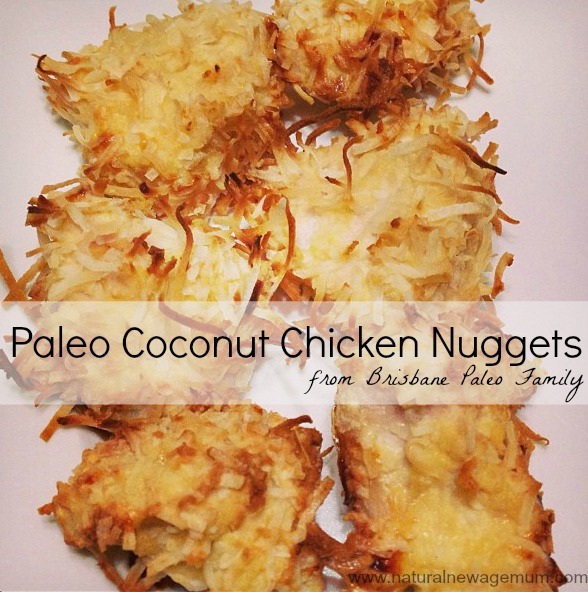 Today’s recipe comes to your from the lovely Leah at Brisbane Paleo Family blog. I saw her yummy chicken nuggets and asked if she would please share it with us and be part of our ‘Just Say NO to Nuggets‘ campaign. “Hi everyone, Leah here! 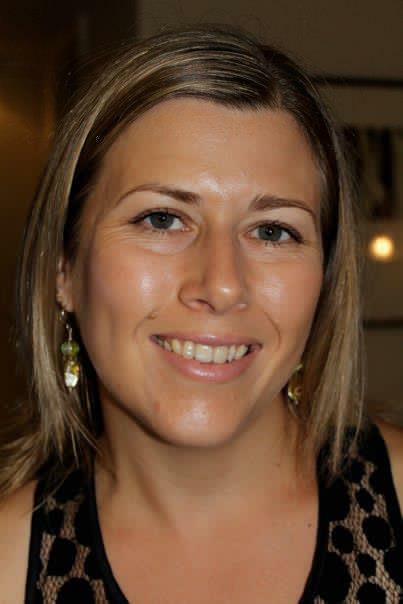 I am a Brisbane mother who is passionate about the Paleo lifestyle after losing 30kg and regaining my zest for life. I organize the Brisbane Paleo Meetup Group, which has around 200 members and growing. If you are interested in meeting up with like-minded people and attending fun events relating to all aspects of the Paleo lifestyle you can find out more here. There is some really good information at the Eat Drink Paleo blog about what we do and don’t eat. Basically though, it’s a grain free, legume free, dairy free, refined sugar-free diet. · Place coconut flour, egg and coconut milk mix and the shredded coconut into three separate bowls. · Coat it with shredded coconut. · Place chicken piece on baking paper. · Repeat with each piece. · Cook for 15 mins or until chicken is cooked through. Be careful not to over cook as coconut can dry the chicken out. Serve with a lovely fresh salad and avocado. I like to make a dipping sauce with coconut aminos (which is used as a soy sauce substitute but is Paleo friendly) and coconut vinegar. Who in our community is Paleo? Do you have any tips? I did Paleo for some time and felt fantastic! I have a few friends now who follow the diet and love it! I do my fish with this sort of batter but hadn’t thought of doing it with my chicken. I’ll give it a go. I have actually been unconsciously eating paleo for about a week, without realizing and yes, I do feel better….. maybe I need to investigate a little more! I made this for dinner tonight and they were AMAZING!!! I made SO many with just 2 chicken breasts – so I have frozen some for another night! Yum…and gluten free! I love that they are oven baked, no messy frying to do. yes, I prefer everything in the oven !! Definitely giving these a whirl! awesome! let me know what you think Clint!